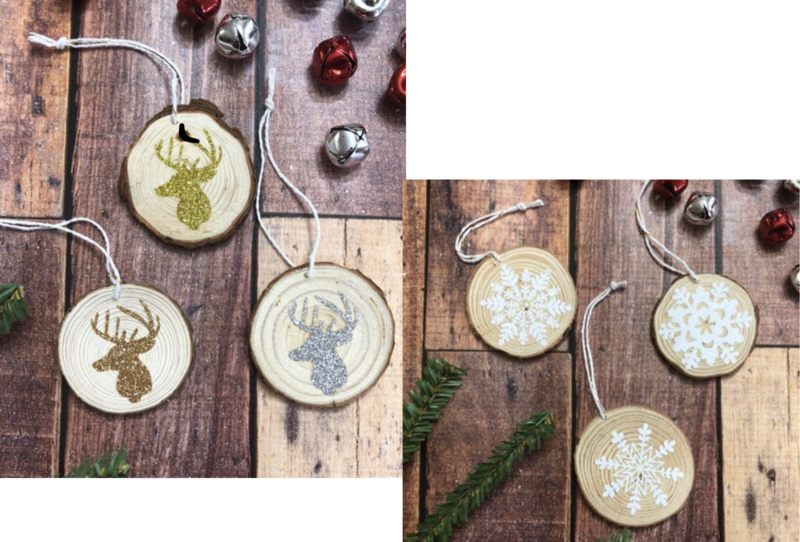 Use your Brother Scan n Cut to create these adorable Rustic Chic Christmas ornaments. Add them to your holiday decor or wrap them up and gift them. In class, make a set of three (the two shown above and a ‘mystery’ design as the third.